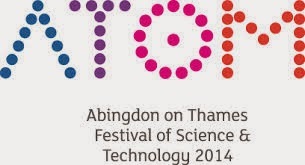 As part of the Oxfordshire Science Festival 2014 and Abingdon-on-Thames' Festival of Science (ATOM! 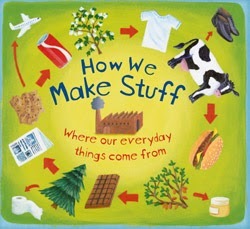 ), Mostly Books is proud to be hosting a fun and brilliant family science event with multi award-winning children’s science author Christiane Dorion. 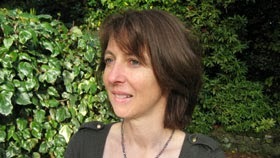 Christiane grew up in Quebec City, Canada, training teachers in environmental issues and geography, before moving to England in 1987 to study for a PhD. She was responsible for environmental education guidelines for the National Curriculum, and her amazing pop-up books have seen her shortlisted for numerous books awards, including the Blue Peter book award – as well as winning the Royal Society Young People’s Book Award in 2011. In ‘Life, The Universe...and Stuff!’ she will be doing experiments, demonstrations and offering hands-on fun to inspire and encourage children to explore the complex systems of the world we live in. Asking the BIG questions such as ‘How big is the universe?’, ‘How did life begin?’ and ‘Why does the sea move?’ kids (and adults!) will have great fun joining in to answer these and many other puzzling questions. The event takes place in Abingdon's Guildhall on Saturday, March 22 at 11am. Tickets cost £3 and is fully redeemable against any of her books on the day. Family and group tickets are available - email us for more details. “My passion for writing children’s books stems from the thousands of questions I asked as a child, which remained unanswered. How big is the universe? When did life begin? Why do volcanoes erupt? Why do we build cities around active volcanoes? Why isn’t there water everywhere around the world? Through my books, I aim to inspire and encourage children to explore the complex systems of the world we live in and to take positive actions to protect our planet for future generations." We hope to see you at the event - but you can discover much more about ATOM! and events with Jim Al-Khalili, Frank Close and Robin Ince on the official website here.